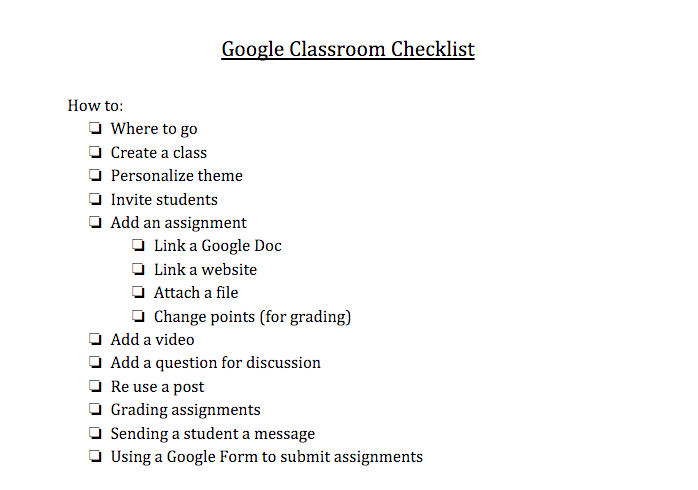 I used this attached checklist to help gauge where PD participates were at in their knowledge of Google Classroom. Create a Quiz using Google Forms: Google Forms is a powerful tool. With a few mouse clicks, teachers can easily create a quiz for students. Google Forms allows for multiple choice and typed answers to capture just about any response to a question. All the results of the quiz are stored within a Spreadsheet for easy grading with just a few formulas. Create an Online Discussion using Google Groups: Google Groups is a free service offered by Google to create online discussions. When students collaborate on team projects, a Google Group can be used to help students share ideas, documents and information. Google Groups can really promote student conversations. 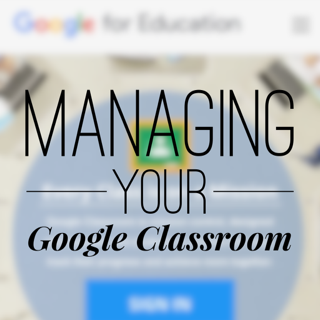 It’s simple to recreate that type of discussion board using Google Groups. Receive Feedback from Students using Google Forms: Google Forms will give you the ability to hear directly from students. The possibilities for receiving feedback on group projects, homework, field trips, etc. are endless. All results are captured in a Google Spreadsheet and come with a beautiful summary sheet.